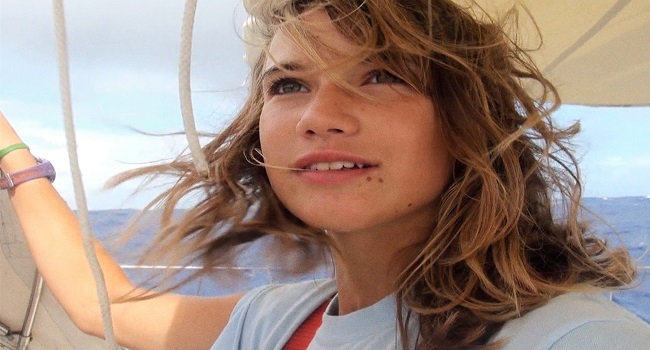 At age 14, Laura Dekker embarks on a quest to become the youngest person ever to sail around the world alone. It is a decision that will seem controversial to some, but for Dekker the sea is her home. The Dutch teen spent the first few years of her life living on a boat with her parents. Part of the reason Dekker wanted to live with her father, after her parents divorced, was due to the fact that she could continue sailing. Traveling on a 40 ft sail boat filled with food, and all the maps and gear she will need, Dekker sets sail to achieve her dream. Spending close to two years at sea, Dekker visits exotic locals, make friends with fellow sailors and encounter the highs and lows that Mother Nature has to offer. It is a voyage that not only tests her strength and fears, but also provides an opportunity for Dekker to learn a lot about herself in the process. She soon starts to question where her true national ties lie. This all helps to set the stage for a rather unique and endearing coming-of-age tale. Incorporating footage shot by Dekker while at sea, director Jillian Schlesinger crafts a surprisingly charming tale about the power of the human spirit. What makes Dekker such a fascinating subject is the fact that she detests being in the spotlight. Her journey has nothing to do with fame as she merely wants to prove to herself that she can indeed sail around the world. Her fierce independence is what drives her even when things look bleak. Over the course of the film we watch as Dekker grows into an old wise woman in front of our eyes. She becomes so practical and self sufficient in her daily routine that she does not feel the need for people in her life. At one point on the journey, prior to her father’s visit, she proclaims that she no longer has any use for her parents as she has been living on her own at sea for over a year. When Dekker remarks that she would be happy spending the rest of her life sailing alone aimlessly, you get the sense that she is speaking truthfully. This is not to say that Dekker does not enjoy the human connections that she makes on the trip. Schlesinger captures the moments when Dekker stops at different ports, such as Panama and the Galápagos Islands, and meets various individuals along the way. At one point she forms a surrogate parent-daughter bond with an American couple also traveling the world. It is during these tender moments that Schlesinger reminds us that Dekker, despite her maturity, is still a teenager at heart. 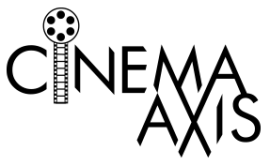 Maidentrip is a film that, like Laura Dekker herself, is surprisingly engaging. It is a coming-of-age tale that is immensely charming. It is one of the hidden gems of this year.